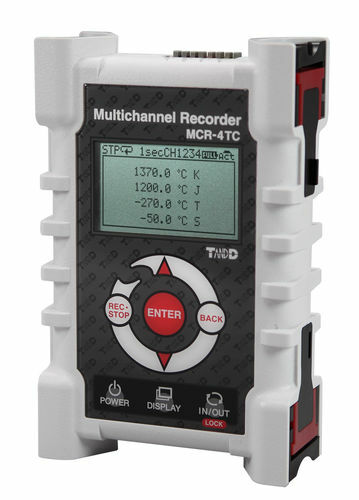 The MCR Series is composed of multi-channel temperature data logger developed by TandD Corporation and is specifically designed for thermocouples. A maximum of four units may be coupled together to allow provision of measurement in a simultaneous manner as well as recording of a maximum of 16 channels. The MCR-4V can be coupled with the MCR-4TC. The logger supports different kinds of thermocouples such as K, J, T, S, and R type. The MCR-4TC can provide measurements for a broad range of temperatures starting from -270.0 °C up to 1760.0 °C, depending on the used sensor. Furthermore, it can also log at most 960000 data readings.